Some history: Oakhurst Links was a golf course from 1884 until at least 1912. 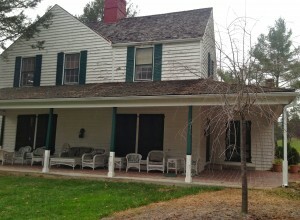 Then Russell Montague, owner of the property, converted it into a horse farm. Just a few of Montague’s neighbors played the course way back when, and a book — “Oakhurst: The Birth of America’s First Golf Course’’ by Paula DiPerna and Vikki Keller (Walker & Co., 2002) – detailed the early history of the place. Sam Snead, long a resident of the area, urged the restoration of the course and – with the help of architect Bob Cupp – it was re-opened as a 2,235-yard nine-holer in 1994. There was some initial curiosity about the place, and players were equipped hickory-shaft clubs to play it the way Montague and his neighbors did. The curiosity didn’t last long, however, and the course was closed off-and-on, including during our first visit in 2010. 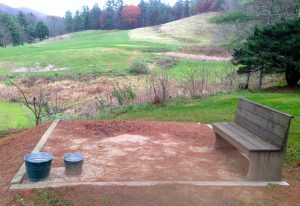 This appeared to be Oakhurst’s first tee box. Tees were formed by molding the sand and placing the ball on top. Searching for the course then was an adventure in itself. A stop in this small town just over the West Virginia line was unsuccessful. The own is home to the Greenbrier, which bills itself as “America’s Resort’’ and hosts an annual PGA Tour event. Still, four years ago most of the locals – including some Greenbrier employees – had barely heard of Oakhurst. That was surprising, since it’s only a 10-minute drive from the big resort and there were landmark plaques in the town. Fast forward four years, to this November. 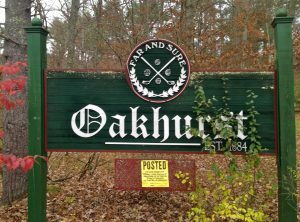 Oakhurst had been closed off and on since our first visit and Justice eventually purchased it from long-time owner Lewis Keller. The price wasn’t disclosed but it satisfied a $700,000 lien on the property, according to published reports. 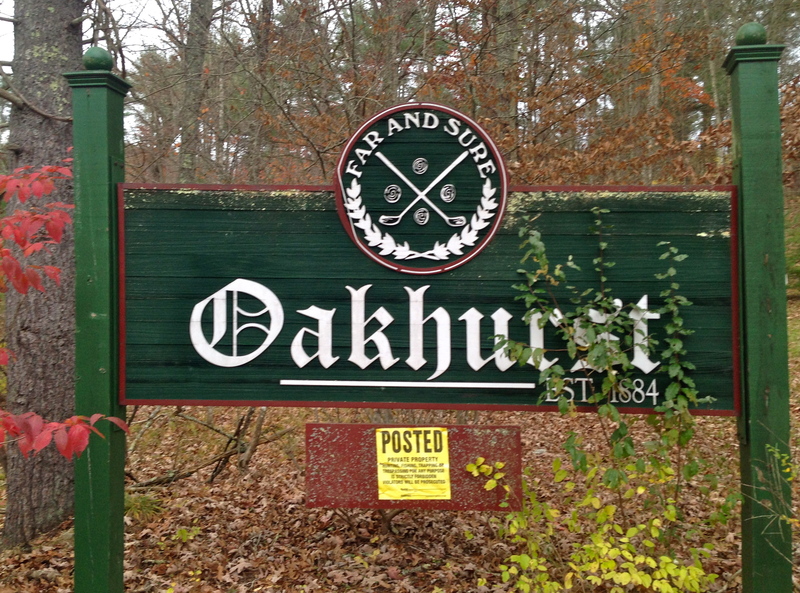 Oakhurst’s clubhouse may have seen better days, but it probably was a fun place in its heyday. The road to the poorly-marked course is narrow and winding, through a subdivision. We found a nearby course, Valley Lo Country Club, before we could locate Oakhurst. 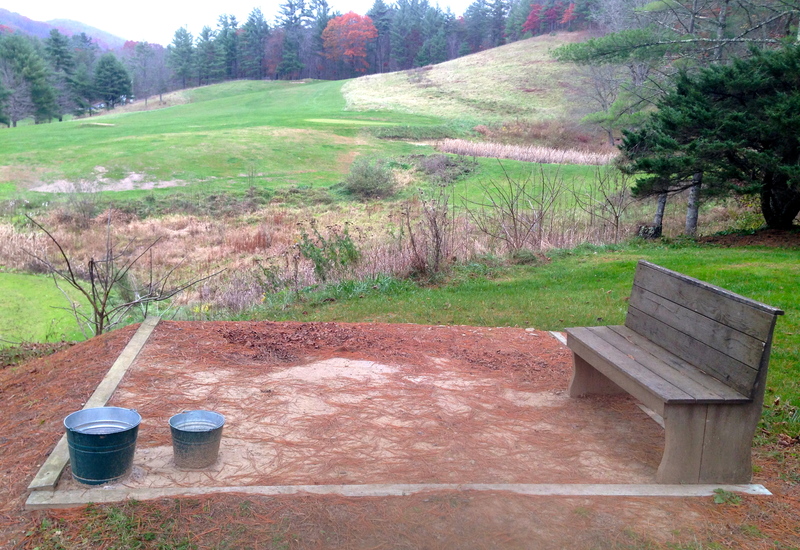 Once there, we saw sand tee boxes, like those used in the early days of American golf, and could spot a few greens. We couldn’t figure out the layout without tee markers, however, and the clubhouse was in need of repair, with paint peeling in several places. A neighbor reported that golfers were playing the course again during the summer, but not enough of them to stall a mid-October closing for the season. Still, it’d be a shame to lose this piece of American golf history. Judging by the golf history books, it was about the only layout played in the U.S. prior to the opening of Chicago Golf Club – America’s first 18-hole course – in 1892.